Franck Amsallem is an acclaimed international jazz pianist, playing, recording, and composing for over 40 years. A multi-talented musician, Franck is also much in demand as a composer/arranger, singer, and educator. Franck has recorded nine CDs under his name and a major collaboration, "New York Stories," with Joshua Redman, Roy Hargrove, and Danny Gatton on Blue Note USA. While living in New York City, Franck played as a sideman with Gerry Mulligan, Charles Lloyd, Jerry Bergonzi, Joe Chambers, Maria Schneider, Kevin Mahogany and Harry Belafonte as well as Gary Bartz, Bobby Watson, Rick Margitza, Tim Ries, and Blood Sweat and Tears. 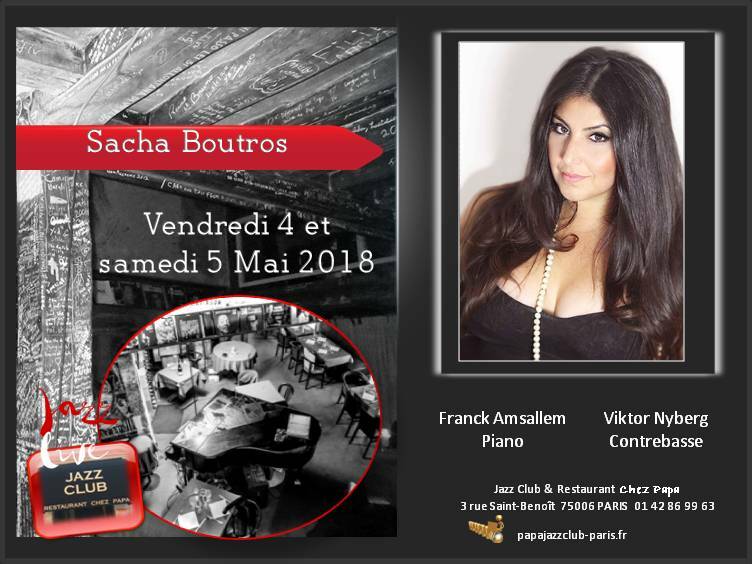 Franck is the recipient of major awards (NEA composition fellowship, Great American Jazz Piano Competition, ASCAP award, Fondation de la Vocation, FACE cultural exchange) in both the U.S. and France. He has played many of the most important festivals throughout Europe, including the Pori, Molde, Red Sea, North Sea, Paris, Nice, Vienne, and Antibes-Juan-les-Pins festivals. As a composer, he has been commissioned by the WDR Jazz Orchestra, the National Jazz Orchestra of France (O.N.J. ), and The Mel Lewis Jazz Orchestra. His composition "Nuits" for string orchestra and jazz quartet has been performed many times with various soloists. Other commissions include "Place Du Temps" for chamber orchestra, "The Farewell" for the PRISM saxophone quartet and "Brooding" for solo piano (2013). In 2009, Franck released "Amsallem Sings", showcasing his talents as a pianist-singer, featuring 12 songs from the Great American Songbook. "Franck Amsallem Sings Vol. II" was then released in September 2014, a trio opus recorded in Paris. His latest release, "At Barloyd", is part of a 9 cds boxset showcasing nine of the best French jazz pianists. Pianiste, compositeur et chanteur Franck Amsallem a enregistré 9 CDs sous son nom, passé vingt ans aux Etats Unis et accompagné Gerry Mulligan, Charles Lloyd, Joshua Redman, Maria Schneider et Harry Belafonte, ainsi que Gary Bartz, Bobby Watson, Rick Margitza, Tim Ries, et Blood Sweat and Tears. En 1992 il remporte le 2e prix au Jacksonville Great American Jazz Piano Competition et publie son premier cd "Out a Day" avec Gary Peacock and Bill Stewart. Il s'est depuis produit sous son nom dans les plus grands festivals de jazz partout dans le mondce. Parallèlement il mene un carrière de compositeur pour big band, notamment avec le WDR, pour orchestre à cordes et orchestre de chambre, et pour divers solistes. En 2002, Franck se réinstalle en France et enregistre "Summer Times", puis "A week in Paris”. Jazzman et Jazz Magazine saluent une nouvelle fois très chaudement ces opus. En parallèle, Franck joue régulièrement et enregistre avec des musiciens comme Tim Ries, Rick Margitza et Jerry Bergonzi, ainsi que les chanteuses Sara Lazarus, Elisabeth Kontomanou et Mélanie Dahan. Ces dernières années, le Pérou, le festival JazzaVienne, et des concerts en Israël, Hollande, Turquie, Lituanie, Algérie et en Amérique du Sud étaient au programme. Deux cds vocaux "Amsallem Sings" et "Franck Amsallem Sings Vol. II" ont mis en valeur ses talents de pianiste-chanteur sur des chansons tirées du Great American Songbook. Son dernier opus paru en 2018 fait partie du coffret de neuf cds "At Barloyd" regroupant neuf des meilleurs pianistes de jazz français jouant en solo. Franck Amsallem piano, vocals, Sylvain Romano, bass, Karl Jannuska, drums. (OMD) with Gary Peacock and Bill Stewart.